This work was a finalist in the 1994 Dobell Prize and was acquired by the Gallery in 1994. 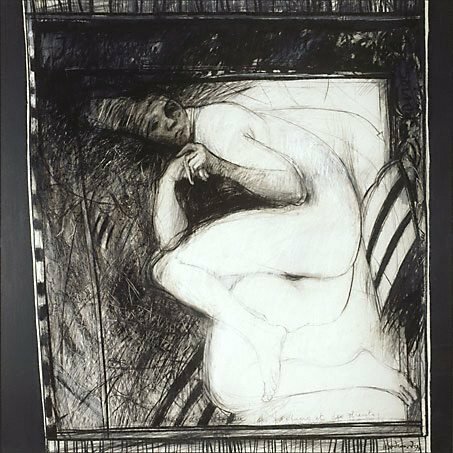 Signed and dated l.r., charcoal "Woodward 94". Helen Campbell, Contemporary Australian Drawing: 20 years of the Dobell Prize for Drawing , ‘Other works acquired from the Dobell Prize for Drawing’ compiled, pg. 62-72, Sydney, 2012, 11, 72 (illus. ), 74. Hendrik Kolenberg, Look , 'A fine harvest of drawings: legacy of an exceptional draughtsman', pg. 28-31, Sydney, Nov 2011, 31. Margaret Woodward: inside looking out , Parramatta, 2003, 41-41, 43 (illus. ), 68.